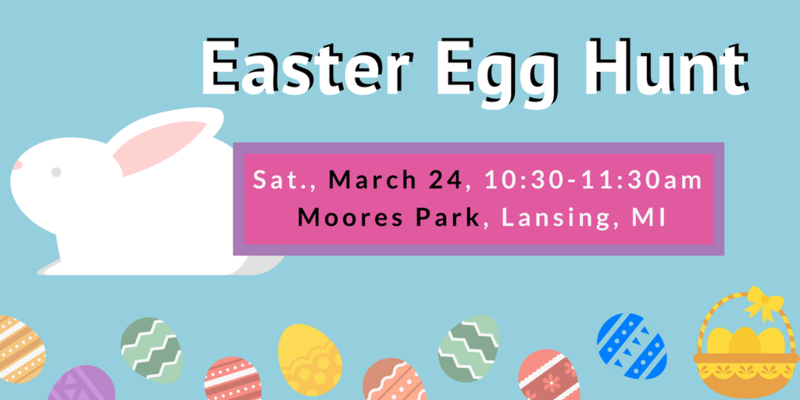 Come to the Moores Park Easter Egg hunt Saturday, March 24 from 10:30-11:30am! We have an egg hunt for the 0-4 year olds and one for 5-12 year olds. There will be plenty of candy and giveaways if you find the marked eggs. You can also meet and take a picture with the Easter Bunny! In case of inclement weather, we will reschedule for the following Saturday, March 31 at 10:30am in Moores Park.